So we had Harvest festival at Big One’s school last week. I confess, I am very fond of Harvest festival, I think primarily because it brings back such vivid memories of growing up in the countryside in Kent, and of the Harvest festival at my primary school which always entailed displays of gigantic plaited loaves, us singing ‘We plough the fields and scatter’ at the tops of our voices, and taking baskets of produce round the village to the OAPs. I decided to ask my son what Harvest actually means, and I have to confess, he looked at me blankly. Despite the celebration, he hadn’t really grasped that it was about bringing in the crops and the produce from the fields. This little city dweller didn’t know his orange pippins from his coxes. Something had to be done! 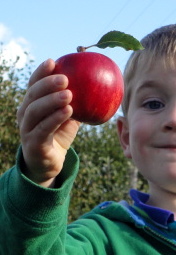 And so we trundled off to pick apples and get back to nature at Pippins Farm in Kent. Raymond Blanc, who has been in the media recently, talking about how important it is to teach children where food comes from, would be proud of me. I was so pleased we did it – the children both picked and ate apples fresh from the tree and their enthusiasm was evident. It was such a success! One supermarket that has a great awareness of the seasons and of local food is Waitrose. This spring they launched the national ‘Grow & Sell’ campaign with schools across the land to encourage schools to grow fruit and veg at school and help kids understand the journey from field to plate. 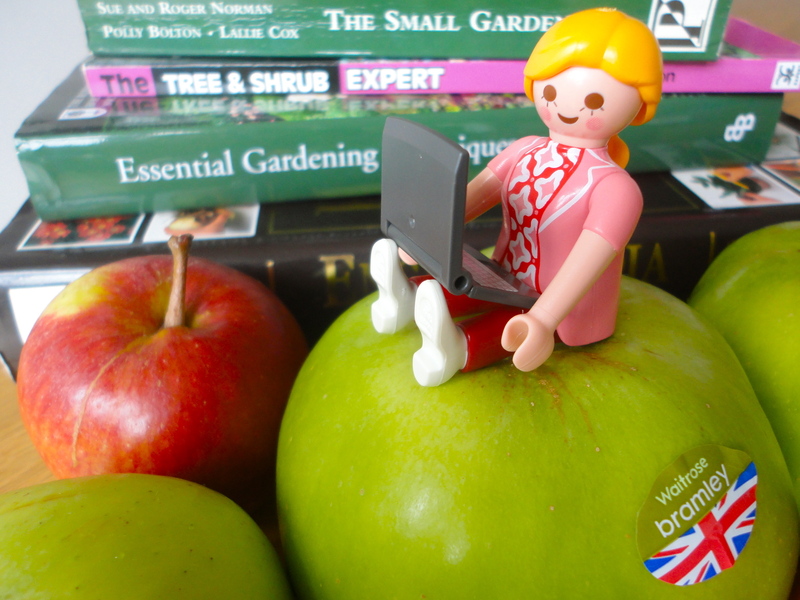 And now British apples are in season – and this is apparently the best harvest season in years, making the apples even more delicious than usual – they are keen to celebrate apples with me and my readers. So in honour of National Apple Day next Monday 21 October, Waitrose asked me to share my love of apples with you. They are stocking 50 apple varieties this year, of which 70% will be British. Hooray! 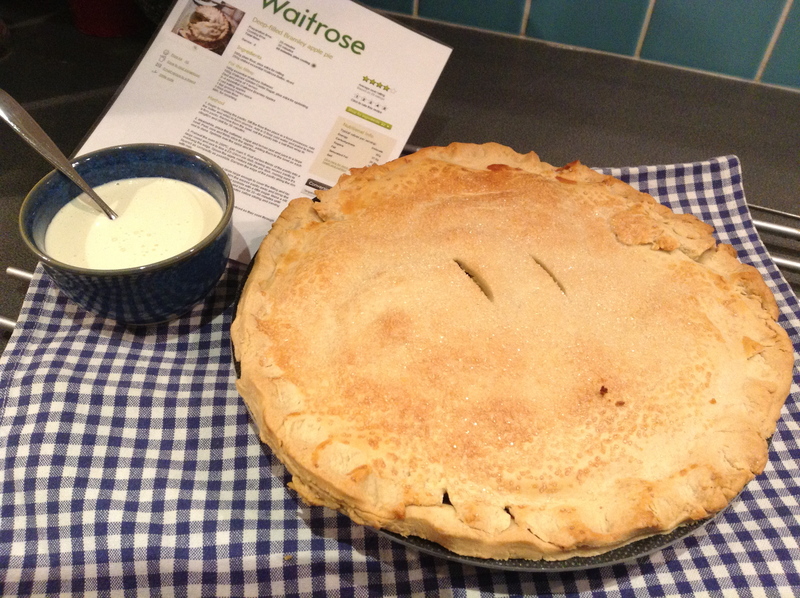 I made their wonderful Deep Filled Bramley Apple Pie using Waitrose Bramley apples and their Best of British apples. The pie was a rip-roaring success, with my husband declaring ‘Amazing pastry’ – high praise indeed from a man renowned for his homemade quiche (no, I am not kidding), and the children devouring it – they especially liked the addition of raisins . I served it with double cream, and for the time of year, it was just perfect. 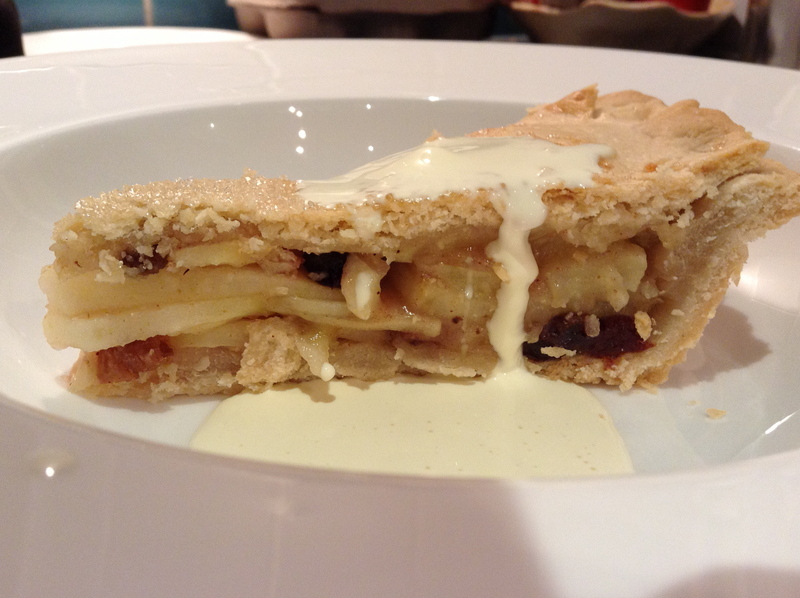 The Deep Filled Bramley Apple Pie recipe is here – it works an absolute treat, and using the food processor meant the pastry was made in moments. The only thing that is a faff – and definitely cannot be done one-handed, folks, is peeling the apples. If only I had the miraculous apple peeler which the wonderful Margot Darling from Margot Tries the Good Life recently featured! Now, that would make life easier for this busy mama. What do you like making with apples? Pies? Cakes? Chutney? I’d love to hear!